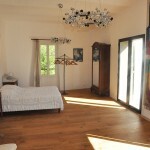 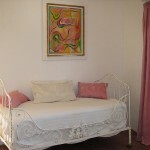 Located on the 2nd floor of the tower of the house, this guesthouse en suite is very spacious (60 m2) and bright. 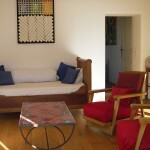 It offers a splendid panoramic view of the landscape of Aix and the surrounding mountains. 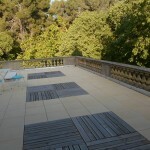 It has 4 openings and two doors that open onto a terrace of 100 m2 with stone balustrade. 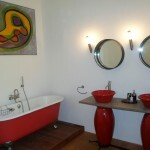 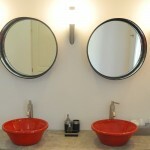 A comfortable seating area at the entrance, a spacious bathroom with shower and bath equipment.